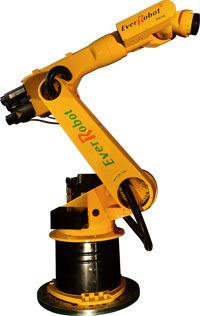 This medium payload industrial robot arm offers very efficient handling of medium-duty materials. 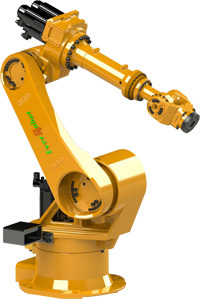 This highly accurate CNC industrial robot arm excels at packaging operations, loading and unloading, as well as the automation of metal casting lines. EverRobot with medium payloads are particularly suitable for material handling,loading & unloading, Packaging, Metal casting machines, etc. Copyright © Evermore Machine Co., Ltd.